Ventilation is a modern invention – it’s necessary now because our homes are so well sealed, and the more energy efficient your home is, the more important ventilation can be. A century ago, few homes – even palaces – had windows which sealed as well as even cheap modern windows do, and almost all properties were heated by fires. Draughts were common, and ventilation was automatic. Towards the end of the 20th century, great leaps forward such as double glazing, improved window and door seals, central heating/radiators, wall insulation and the like, eliminated draughts and made a well-sealed home commonplace. As a result, we’ve had to invent ventilation to try and bring back the benefits of fresh air without the draughts. Below you’ll find 4 reasons that ventilation is essential in every home. It’s trivially obvious that fresh air is good for you, and yes, you can get the same effect by opening a window, but many people don’t. Particularly in the winter, it can be easy to leave windows shut for days so the air remains trapped in the house. This means that smells, germs, dust mites, cigarette smoke, cooking smells, cleaning chemicals, off-gassing from products and furniture, and everything else we throw into the air all remain within the home being breathed in over and over again. This can lead to or trigger health problems – asthma sufferers and those with other breathing issues are particularly vulnerable. Everyone knows that the air in the bathroom is damp after a bath or shower. If left trapped in the room, the water vapour settles on the furnishings and fittings or is absorbed by fabrics and materials such as curtains, wallpaper and plaster, where it can cause extensive damage. Moisture is thrown into the air from all sorts of everyday activities, from breathing to cooking, washing clothes to taking a bath, as well as by pets and plants. It’s unavoidable, but there’s not reason to trap it indoors. Damp fabrics, plaster and wallpaper are ideal breeding grounds for mould and bacteria, which can cause both mild and serious health problems, as well as damaging the materials themselves. Proper ventilation can automatically draw moisture laden air outside, creating a more pleasant environment for people and a more hostile environment for mould, germs and bacteria. Some ventilation systems can even dehumidify or filter air, so if you’re concerned about external allergens, such as pollen, you can have a pleasant internal environment without opening the windows. One reason people are reluctant to just open a window is that winters in the UK are cold and fuel bills can be very expensive, particularly for older or poorly insulated properties. 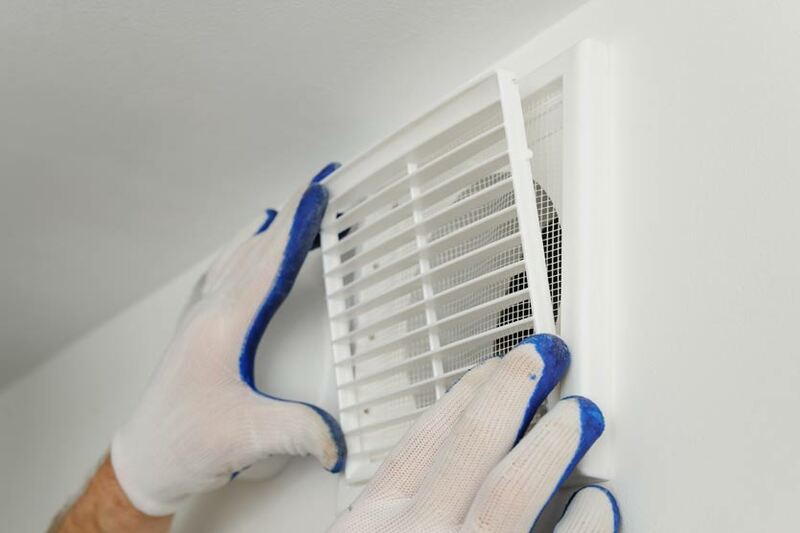 Appropriate ventilation can remove ‘bad’ air (smells, cleaning chemicals etc.) and replace it with fresh air at a rate which doesn’t affect indoor temperatures. Automated ventilation systems, such as in the bathroom or kitchen, can be particularly effective. If you need any advice on ventilation for your home, get in touch today on 02392 009 270 or via email enquiries@cornerstone-ltd.co.uk.